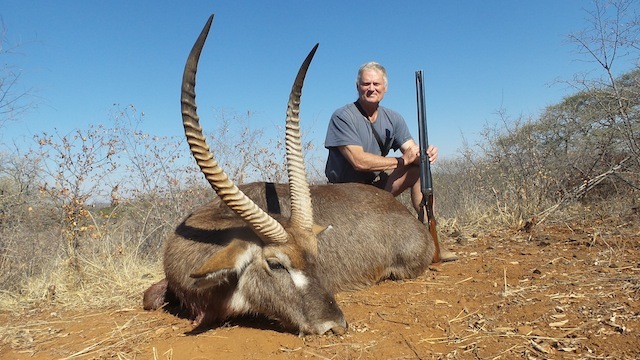 A wonderful Zimbabwe waterbuck taken outside of Gwanda in Zimbabwe. Cal's rifle is a 1914 John Wilkes .600 nitro express, firing a 900-grain bullet at 1900 fps. Range was 65 yards. One shot kill (if course).